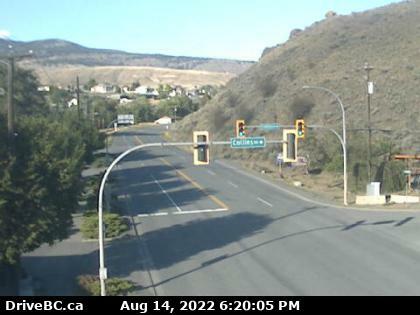 Cache Creek 200 m east of the intersection of Hwy 1 and 97, looking east on Hwy 1. 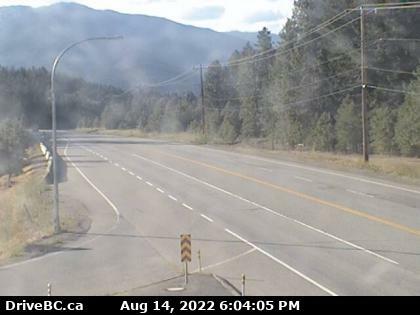 Boston Bar Hwy 1 at Kahmoose Rd, 12 km north of Boston Bar, looking north. 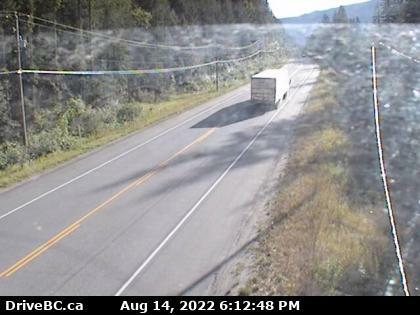 Sicamous East of Sicamous at Cambie/Solsqua Roads, looking west. 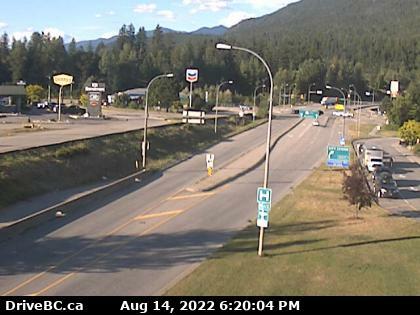 Revelstoke Hwy 1 at east end of Columbia River Bridge in Revelstoke, looking east. 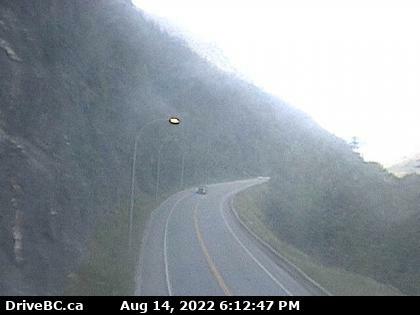 Jack McDonald Snowshed Hwy 1, about 46 km east of Revelstoke, looking east. 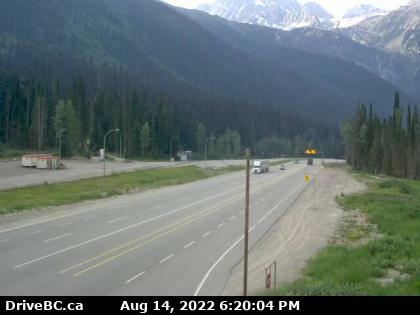 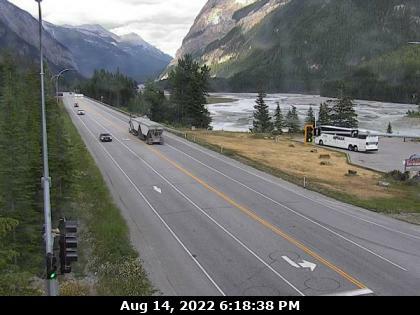 Rogers Pass Parks Headquarters at Glacier National Park, 72 km east of Revelstoke, looking east.